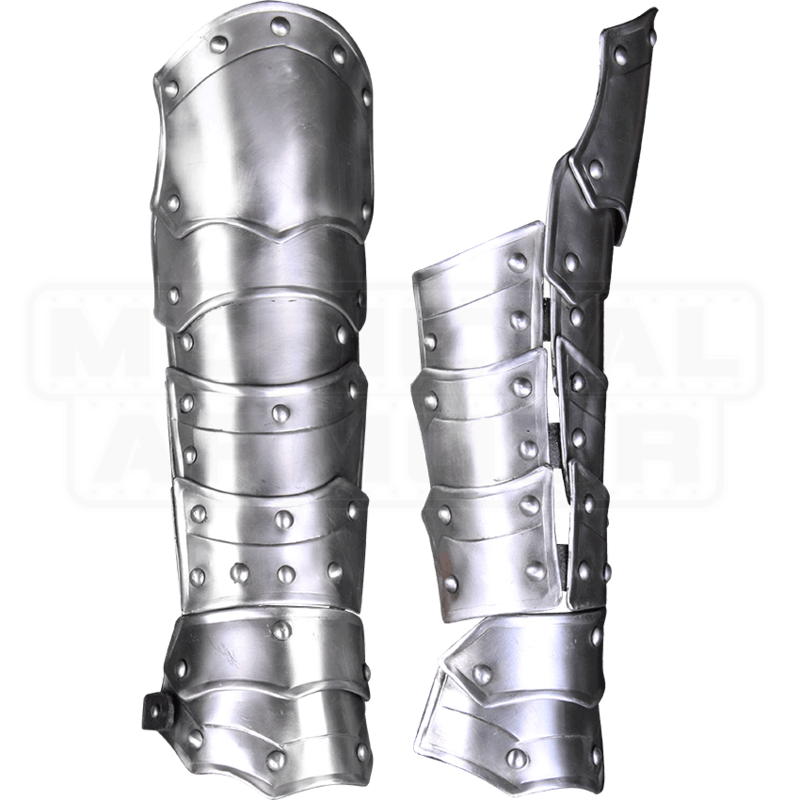 Offering a practical design that looks quite striking, the Steel Vladimir Bracers are ideal for your next LARP battle. The steel bracers are composed of multiple curved metal segments including integrated hand and elbow pieces. Decorative rivets and a bright metal finish ensure that the arm armour suits knights and other medieval champion characters perfectly. A metal plate helps protect the underarm of the wearer, while two buckles fasten the steel armour securely. The medieval armour is designed so that it will not overly hinder movement. We recommend wearing padded arming wear beneath the plate armour to increase comfort. Be sure to check out our other Vladimir-style armour when preparing for your next LARP event or re-enactment. Just received these today. I must say, once again, I'm impressed. The other reviewer of the Blackened version said they were heavy, and heavy-duty---he wasn't kidding. 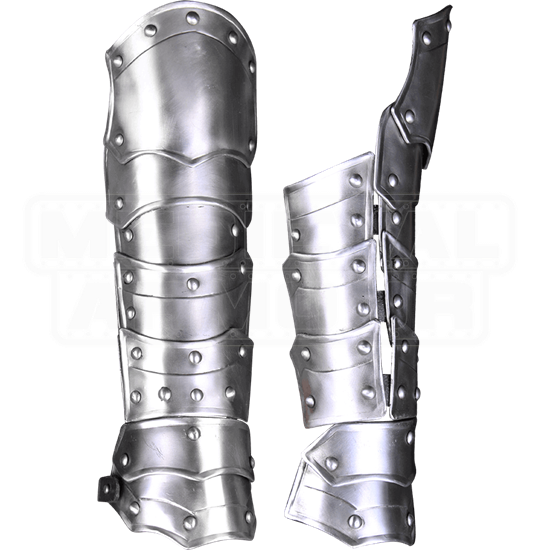 These things are battlefield-grade medieval armor at it's BEST. Not without total fault though. The strapping on the hand piece is pretty weak, and will probably eventually fail. If you have half an idea of how to rivet leather to steel, this shouldn't be a big issue. They look fantastic, and -oh, so- compliment the rest of my polished armor. With the exception of a few minor quibbles(that I will get over), a solid 4 out of 5 stars, and 6 stars to customer service team for being the best on the block!